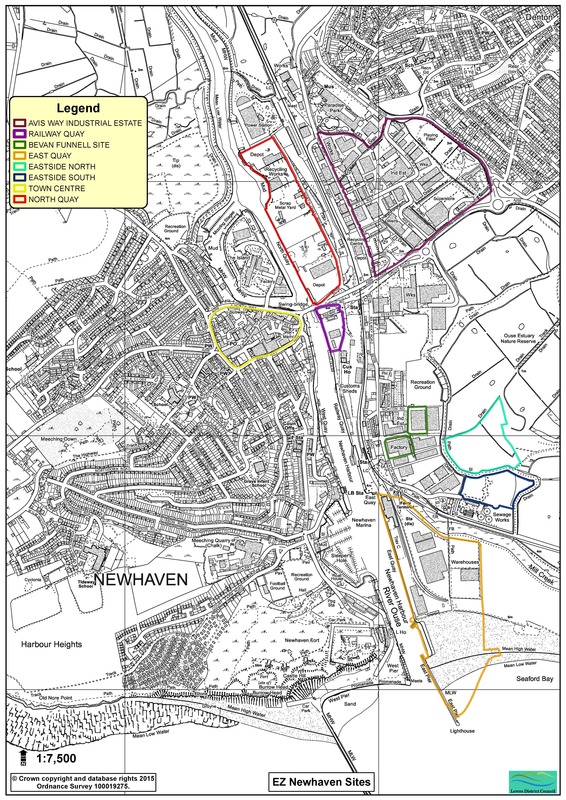 Newhaven Enterprise Zone is a collaboration between Coast to Capital and Lewes District Council. The focus of the EZ is to act as the catalyst for positive growth in Newhaven, which would not happen so readily without the practical incentives for business, and shared ambition for the economic success of the town. The EZ plays play a critical role in delivering economic productivity across Greater Brighton, and easing pressure on the rapidly growing Brighton City Region economy. The EZ encompasses eight separate sites dispersed throughout the town, to support the sustainable regeneration of Newhaven and its shift towards a higher value economy over the next twenty-five years. The Enterprise Zone officially launched in April 2017 and covers approximately 79 hectares. Create / safeguard up to 2,000 jobs. For more information visit the Newhaven Enterprise Zone section.